Are you curious about birth photography? If so, I’ve got some answers to the questions I hear most often as a birth photographer and can’t wait to share them with you! 1. What types of births do you attend? I attend home births, birth center births and hospital births, including C-sections, at Kennestone, Northside Cherokee, Northside Atlanta, Piedmont Atlanta and other North Georgia hospitals. 2. When do you arrive and how long do you stay? I typically like to arrive once active labor has been established and will stay for the duration of your labor and delivery and for a couple of hours once baby arrives. Some of my favorite photos happen postpartum during those first hours of bonding! Because a Fresh 48 photography session is included with each birth photography session, I’ll return to the birth location a day or 2 after delivery to capture even more special moments once everyone has had a chance to rest a bit! Fresh 48 sessions are a beautiful compliment to your birth story, and you can learn more about them here! 3. What do you bring? 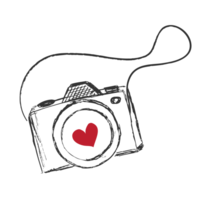 I bring a variety of professional photography equipment to each birth photography session along with my laptop so I can offer you a few digital images before I leave the birth location! That means you’ll have some photos for social media announcements of your baby’s birth as soon as you’re ready to share the news! 4. Do you talk much? After having 3 different birth experiences myself (2 induced with epidurals and 1 unmedicated), I have a personal understanding of what you’re going through during labor and delivery. I also had my most recent birth documented, so I know what it’s like on the other side of the camera with a birth photographer in the room. In light of that, I follow your lead during labor and delivery. As my default approach, I try to stay out of the way as much as possible and become more of a “fly on the wall.” However, if you’d like to talk or I can offer a little extra support, I’d love to! 5. What happens if I go into labor at 3 a.m.? Week 38 of your pregnancy begins our on-call period when I will be available anytime morning, noon and in the middle of the night to attend your birth! If it is likely you will deliver early, our on-call period can be adjusted upon request. 6. What do you photograph? There are so many things to document during your birth photography session! I love documenting the details and telling your whole birth story. From the big details like your first baby snuggle to the little details like the snacks you enjoy before or after delivery, it’s all about what makes your birth story unique! 7. Yeah, but what do you photograph? We’ll discuss your wishes in relation to how much of your birth you want photographed and from what angles you’d like me to take pictures. It’s a beautiful, albeit messy affair, but I promise you will look beautiful, and I will follow your requests for anything you’d prefer not be captured. 8. Will you share my images? Privacy and confidentiality are of the utmost importance to me, and I only share birth photography images with express permission. Sharing your birth story is a very personal decision that is always yours to make. If you so choose, I would be honored to blog your birth session and share some of your beautiful images to celebrate your baby’s arrival and help other mothers considering me as their birth photographer! 9. What happens if my birth plan changes? Birth is an amazing event that offers no guarantees. If you are planning a vaginal delivery and have a C-section, I will go with you as far as medical personnel will allow. I will also have a camera available for you to take into the OR if I’m not permitted. If I can’t join you in the OR, I will be able to spend some extra time photographing the excitement of any family and friends in the waiting area and will be waiting to meet you for some amazing photos after your baby is born! 10. Do I need to talk with my Midwife or OBGYN about having a birth photographer in the room? Most Atlanta area hospitals and providers are happy to allow birth photography, but you’ll need to discuss it with your specific provider prior to delivery to confirm her/his personal policies and preferences. I can provide you with some questions to ask during your next appointment, and we’ll go over the answers together. I will also be available to offer guidance and/or assistance if any obstacles arise. 11. How soon will I see my photographs? Timely turnarounds are something I value, and I will give you a sneak peek of your photos before I even leave the birth location! If you’d like to announce your baby’s birth via social media with professional photos, you’ll be able to do so within your baby’s first few hours of life! You will receive a private photo gallery of your completed birth photography session within 10-14 days of your baby’s birth day. 12. That sounds great! Where do we begin? We’ll begin our conversation about your birth photography session over coffee, on the phone, or however is most convenient for you. I’d love to get to know your family and learn more about your birth choices and wishes for documentary birth coverage! Contact me here to schedule a consultation and reserve your due date today! You can also find a few more details on my birth photography page here. I’d be honored to be your birth photographer and look forward to hearing from you! I՚d love to hear your thoughts!